A navigation chart is a map designed and used primarily for navigation. A nautical chart includes the information used by the marine navigator, including latitude and longitude scales, topographical features, navigation aids such a lighthouses and radio beacons, magnetic information, indications of reefs and shoals, water depth, and warning notices. This information allows both plotting and a safe course and checking progress while sailing or boating. 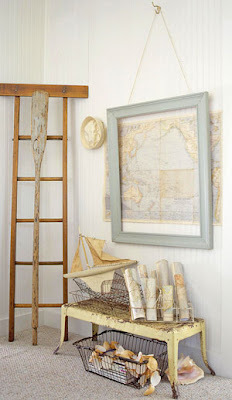 If you love nautical decor like I do, you can turn these charts into beautiful wall art in your home like I have. Charts are easily accessible in any marine supply store. Once you have selected your favorite port of call, the next step is easy: deciding how to use it. I have a large chart of Long Island framed hanging in my home. I love it because when guests come I can show them exactly where they are. It is a great point of reference. Happy plotting! Something Extra: While you search for the perfect chart of your “one particular harbor,” enjoy listening to this classic Jimmy Buffett tune! Pink is not for baby nurseries anymore! I am excited about my newest home decor project that has brought pink decor to a new level! Deciding on colors for any room in your home can be a daunting task, but I can tell you that bringing in pink has been the best decision I have made for this new Florida home I am working on! 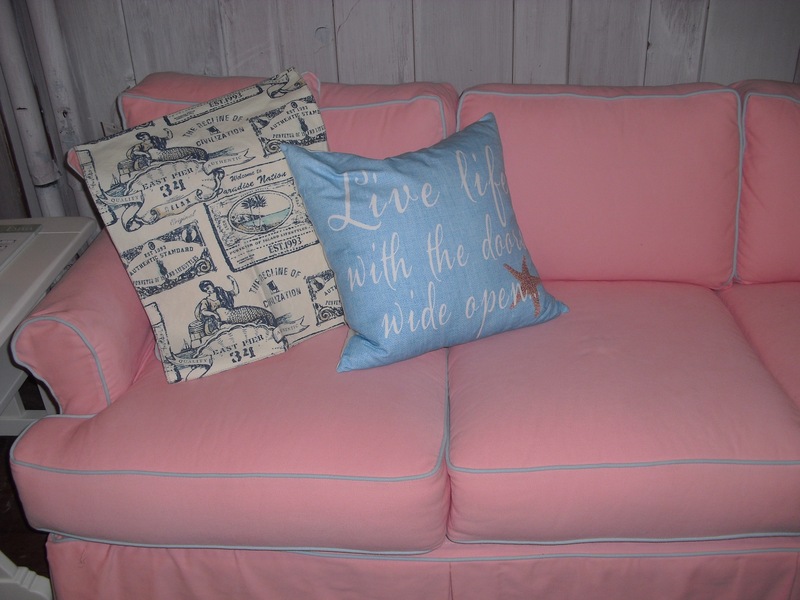 It all started in Hildreth’s in Southampton when I spotted this pinkish colored couch with aqua piping. I knew at that very moment that the color scheme for the Florida house would be pink and aqua. 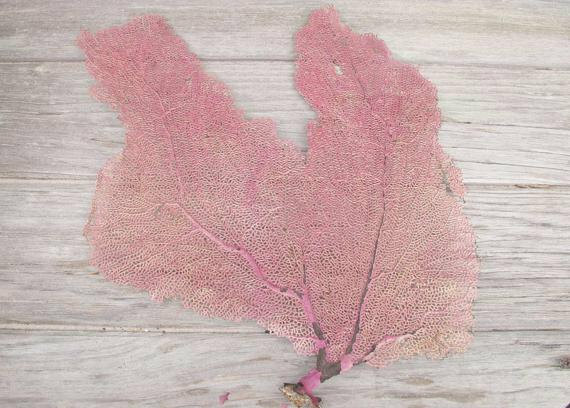 Since that initial find, I am surprised how easy it is to find all things wonderful that are pink to add to the decor of this house. 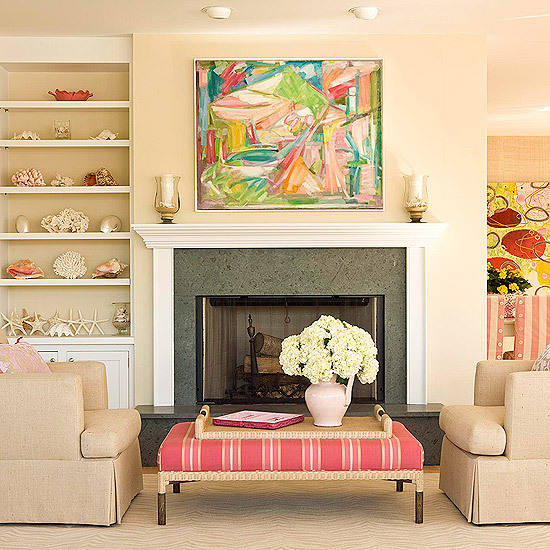 I am a big fan of Homegoods and have found quite a few pink accessories there to complete the look including pink buoys! 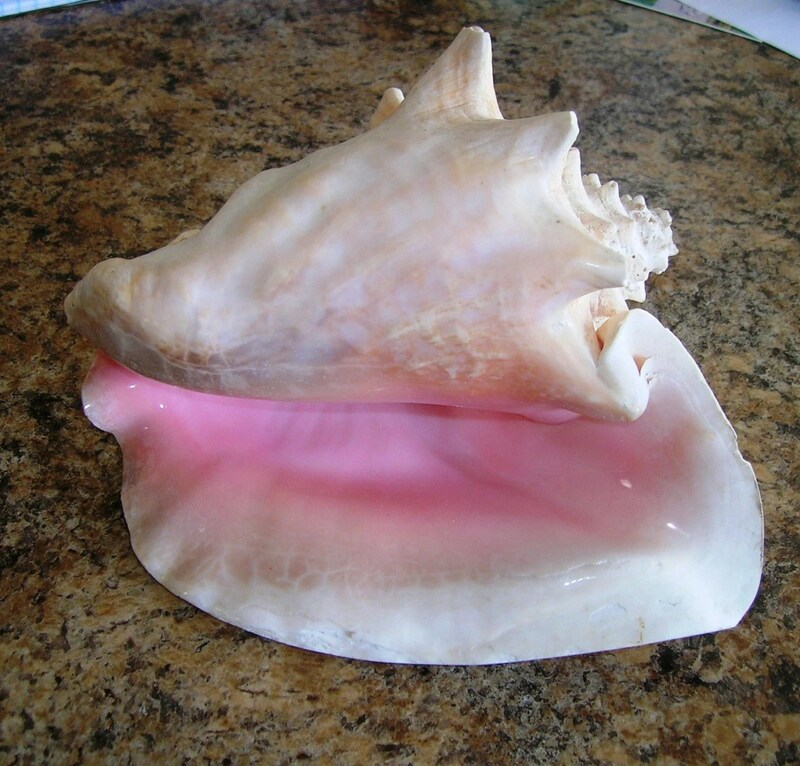 I purchased giant conch shells at a local surf shop that have a beautiful hue of pink. 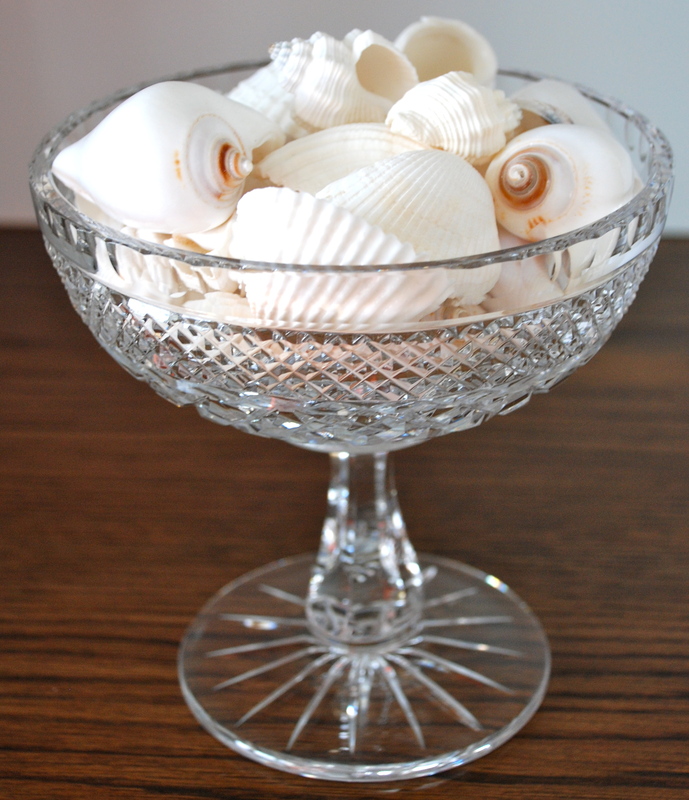 This makes a great accent piece on a coffee table, book shelf or window sill. Here are some inspirational pictures that make decorating with pink so much fun! Vases are not just for flowers anymore. 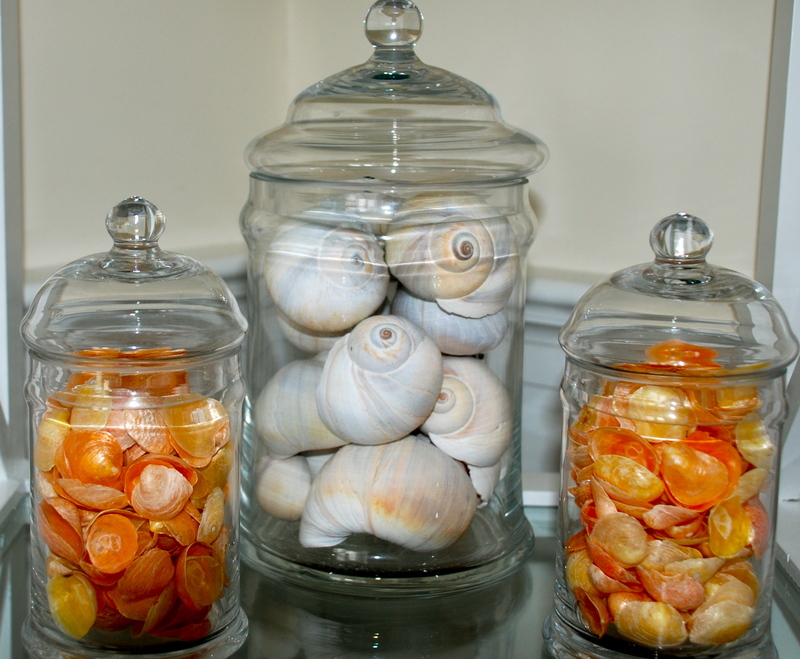 A quick and inexpensive way to spruce up your home for summer is to break out those glass vases or dishes you may have hidden in your cabinets. 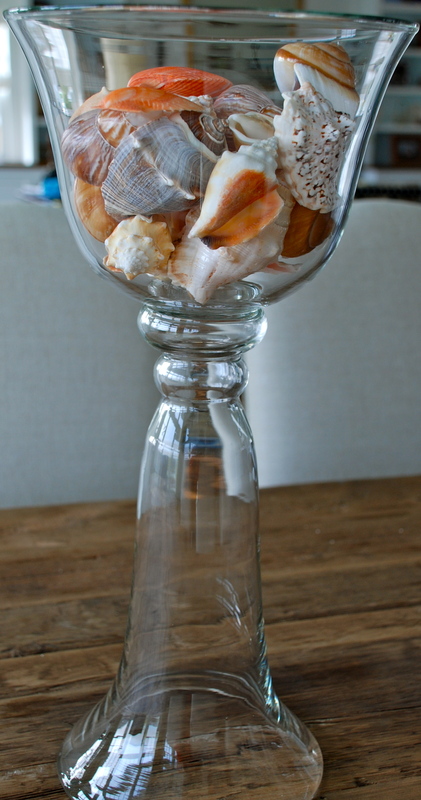 These vases look great when filled with seashells, sea glass and other natural materials that are easily found at the beach. 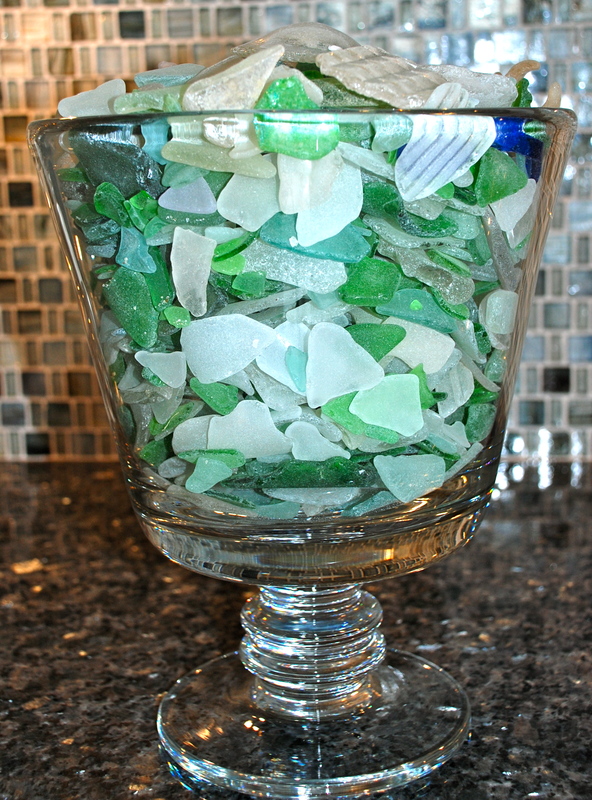 Vases whether big or small can be used, and are readily and affordably found in Pottery Barn, Home Goods and Target. You can even use a vase left over from a floral delivery. 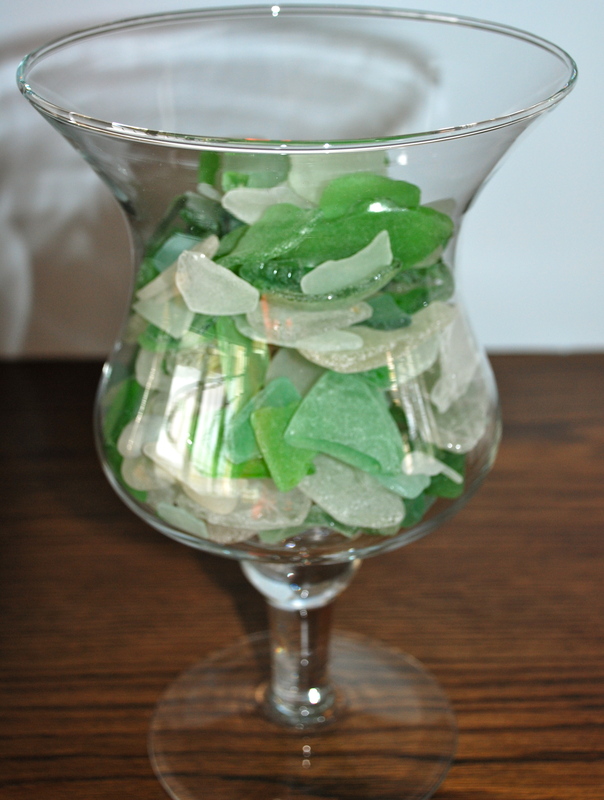 I will admit that it can take time to find enough “perfect” shells or perfectly smoothed and weathered pieces of sea glass, but the search is the fun part of the project. 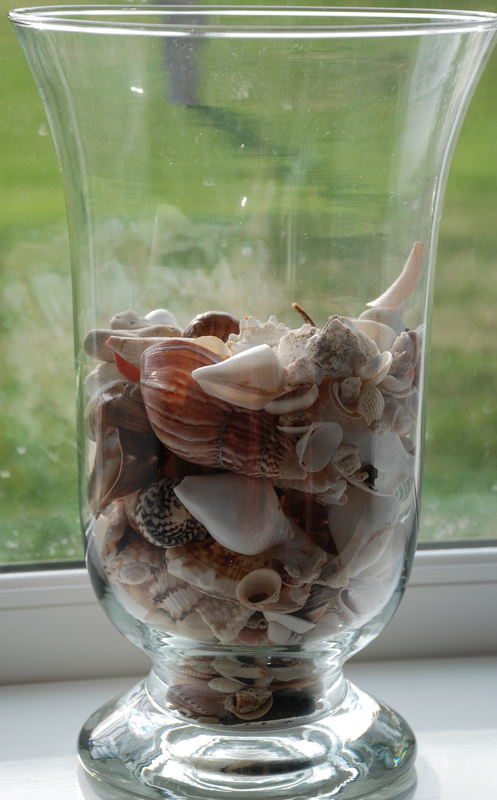 If you don’t have the time to comb the beaches in search of shells, or if you don’t live near a beach, there are many great places to buy shells in bulk. 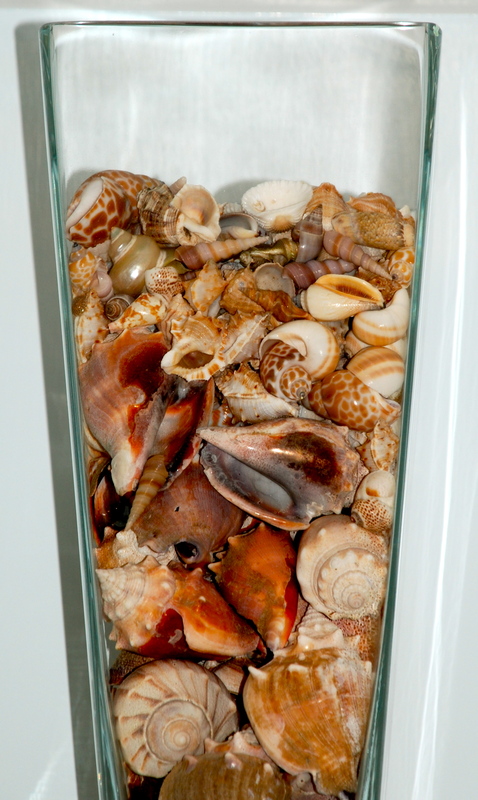 I recently purchased an assortment of starfish from S.T. Prestons in Greenport, NY. 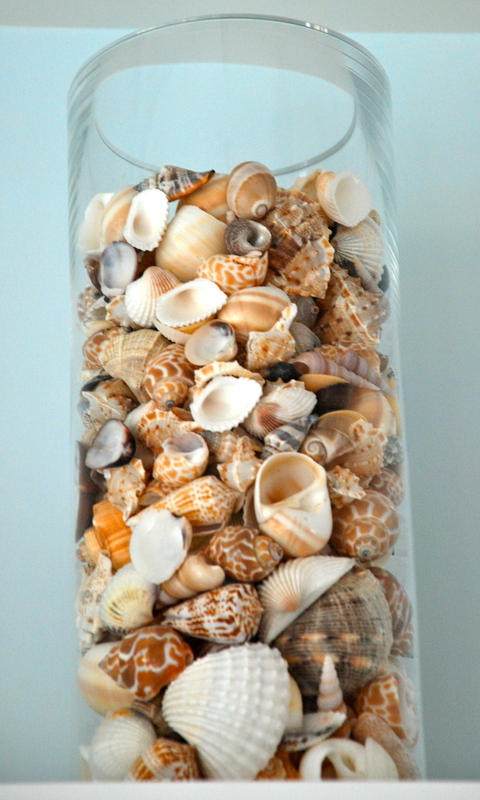 They also carry a wide variety of seashells large and small. 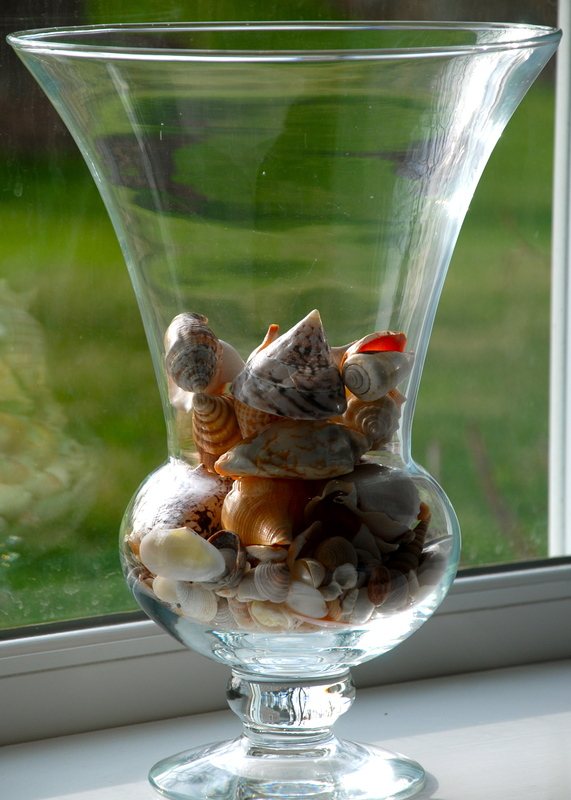 Once you’ve got a vase, and some shells or glass to use, it’s time to make your display. Make sure your vases are clean and begin layering your favorite things in them, for a perfect display on a coffee table, shelf or mantle. 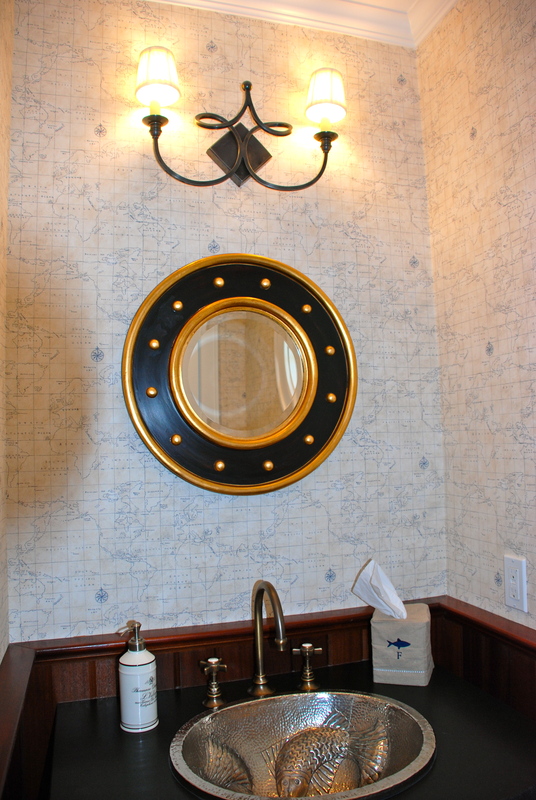 Wall coverings are a great way to give an existing bathroom a fun, new, updated look. 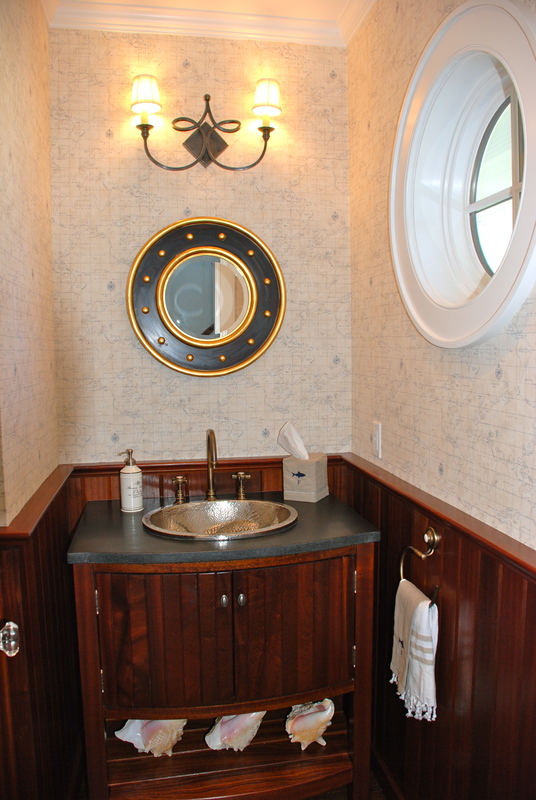 While I see them used in many different rooms, I personally prefer to wallpaper small rooms such as powder rooms and laundry rooms. 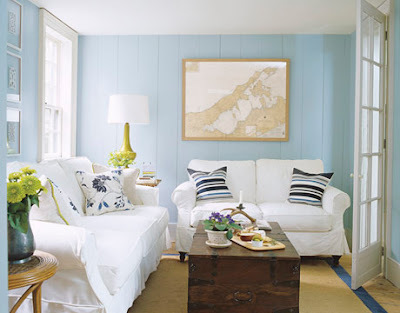 If you’re overwhelmed by the thought of print on an entire room, one way to break things up is to use bead board along the bottom half of the walls. 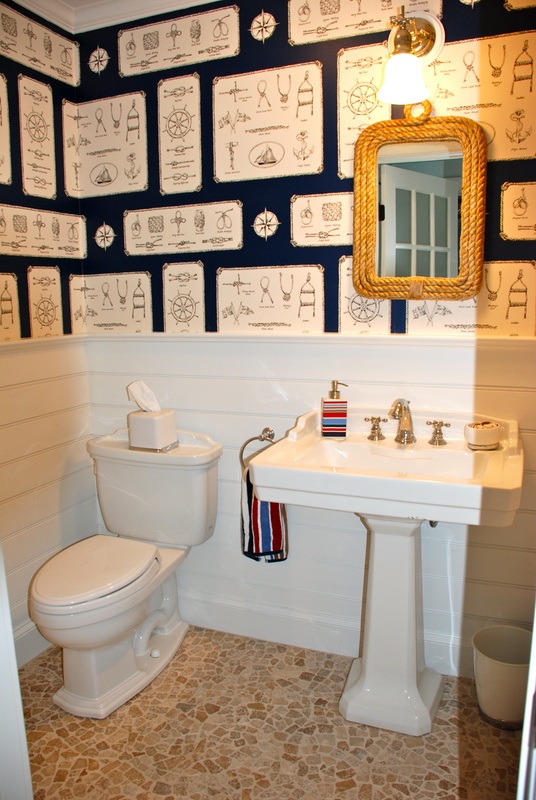 Bead board can be horizontal or vertical, painted white, or even mahogoney. 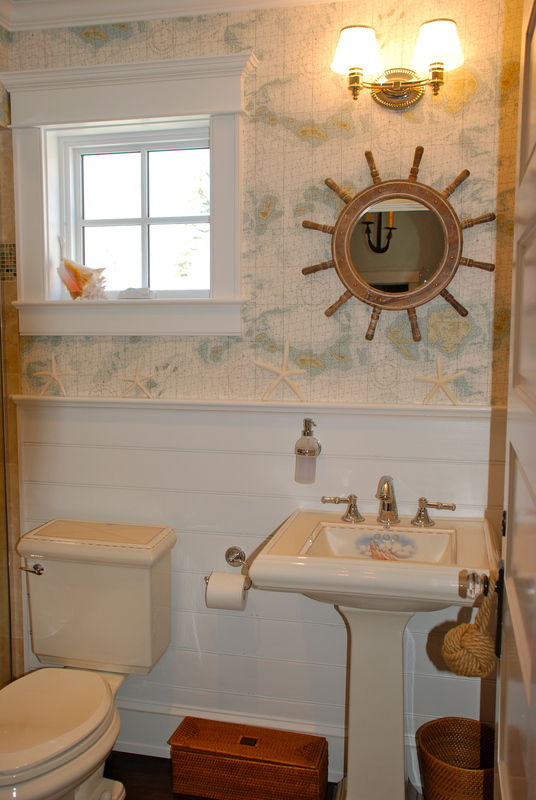 Be creative when it comes up picking out your wall coverings and bead board. 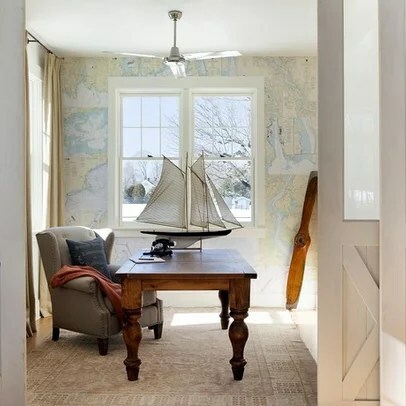 I’ve found that the best place to find nautical/coastal printed wallpaper is at Ralph Lauren Home. 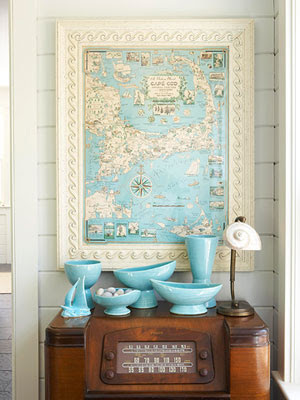 They have an abundance of map and chart prints, nautical knot prints, and seaside prints. 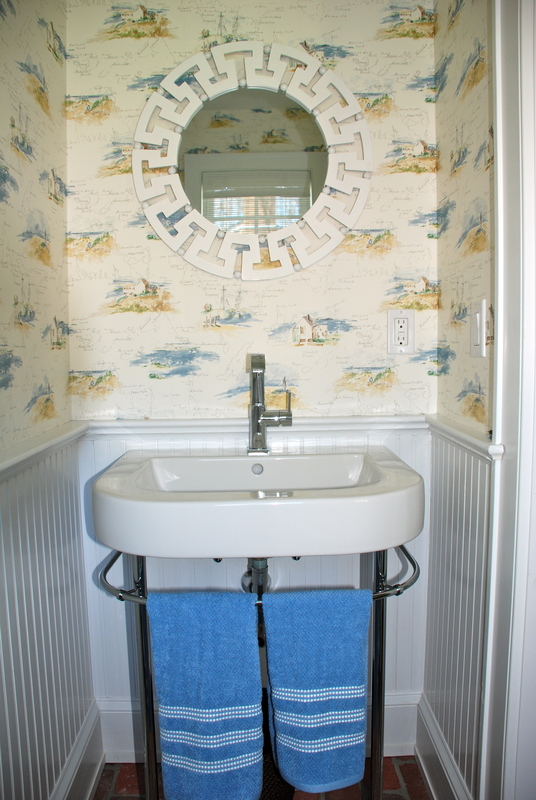 They can sometimes be hard to find, but be sure to check out Steve’s Blind’s and Wallpaper. They have a wide selection of Ralph Lauren books and are great to work with…and better yet, their selections are often on sale.